Your special day deserves a special venue. De Moksha provides the unique balance of intimacy and privacy with elegance and luxury. 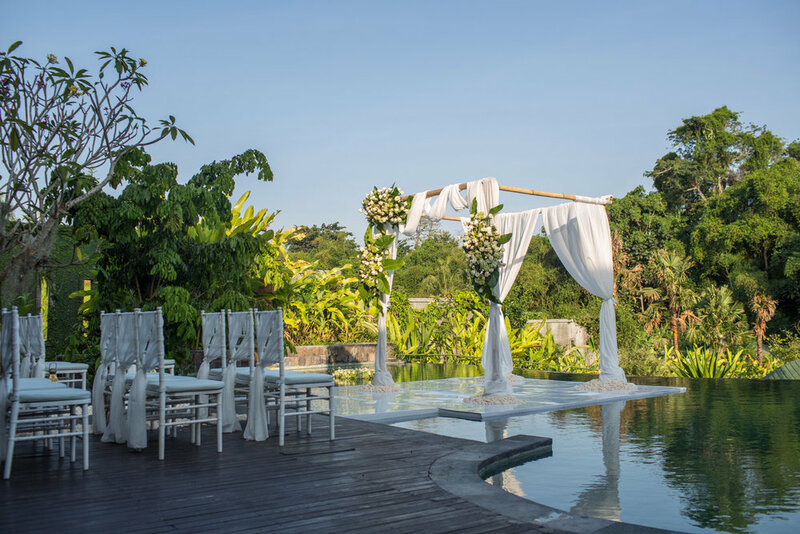 A wedding chapel floating in our infinity pool with the rooftop gardens and the bamboo forrest as your backdrop, make nothing short of spectacular decor for your wedding ceremony. The romantically lit garden restaurant will serve as the perfect location for your reception or evening party. And of course you won’t have to go very far at night as you and your guests will be able to spend the night in one of our private villa’s. Since we are a boutique sized hotel, you can have the whole venue to yourself at affordable prices. 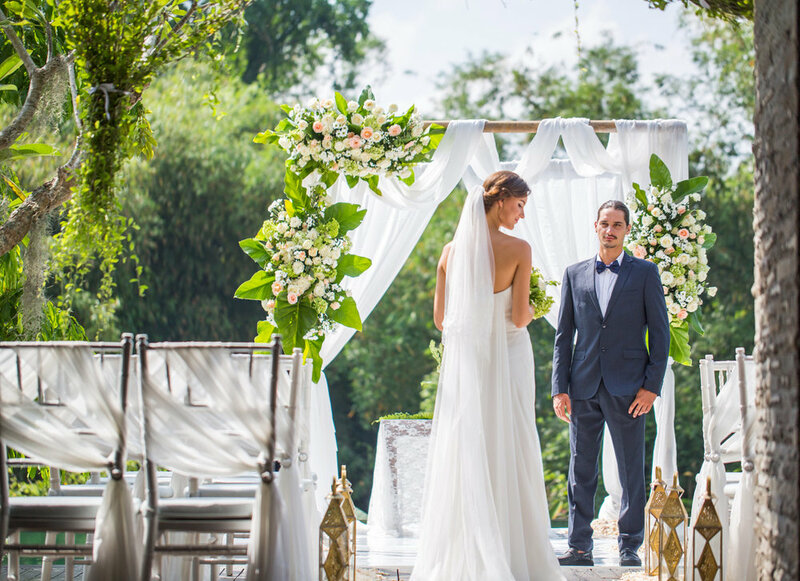 Our staff will do everything they can to make sure you can truly say your wedding day was the best day of your life. Contact us for further information and specialised wedding package.